Crown Foam Technologies has over 200,000 square feet of dedicated manufacturing space located in North America. These facilities have multiple production lines capable of producing PVC and Latex foam products in both sheet and roll form. Due to the manufacturing flexibility of these Units, we can create products that meet the specific needs of our customers. 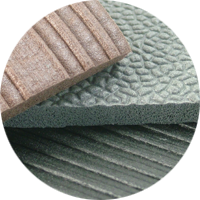 Specific needs can be colors, widths, gauges, densities, substrates or other demands that create unique foam composites. 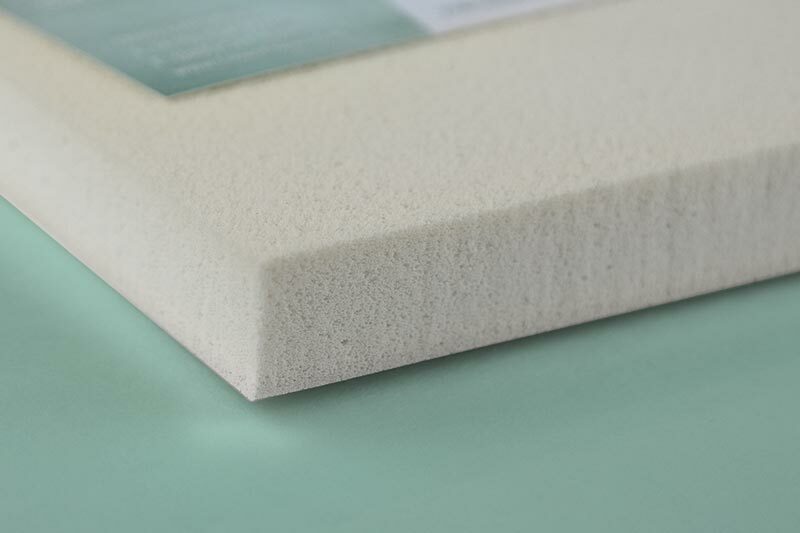 PVC Foam is a cost effective solution for many applications. It can be vacuum formed allowing for a variety of applications. PVC foams are resistant to Flame, UV Rays, Weather and most chemicals, solvents and acids. 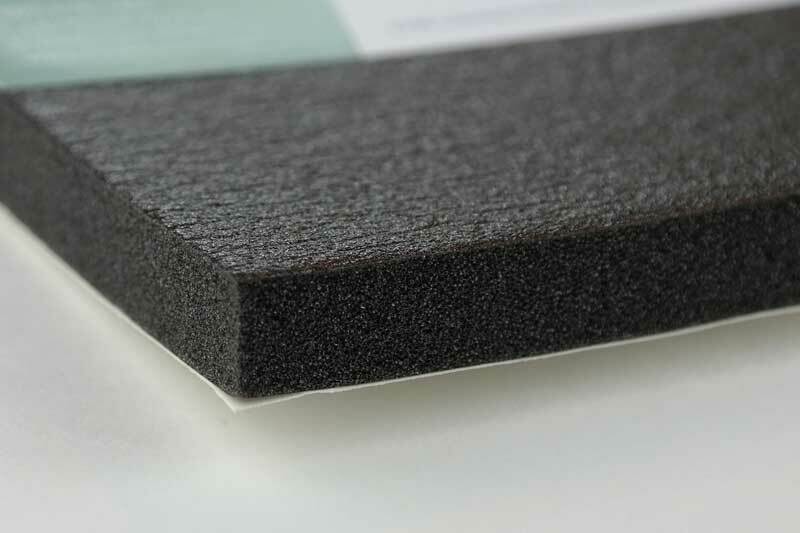 Styrene Butadiene Rubber (SBR) open-cell Foam is a very stretchable foam with good resilience. SBR is resistant to moisture damage, is air permeable, and very stretchable. Often used in medical padding, footwear and consumer applications, SBR comes standard in its natural color and has a variety of firmness levels. 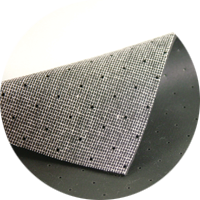 Foam to fabric substrates is a common customization for footwear applications. 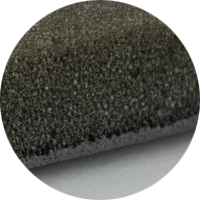 Using our own or customer provided fabrics, we can manufacture PVC and SBR foam with fabric applied. We can suggest fabrics based on decades of experience. 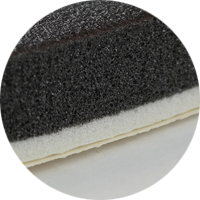 We can combine multiple foam layers, each with unique density specifications, into one composite product. Sometimes a single product requirement may need to be soft to firm or soft to medium- dual density layers win every time. Save time, money and avoid the lamination process! 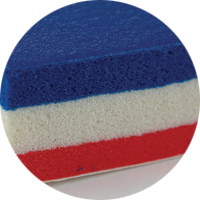 We can create multiple foam layers up to 3 colors with various densities into a single composite product. 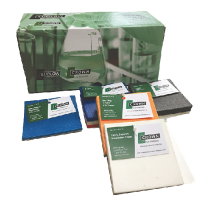 We will work with your color and foam choice to provide the best possible color match. Provide us a sample or PMS color to match to. 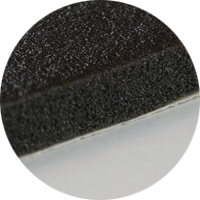 We can apply your desired texture preference to our foam manufacturing process. Ask about leather grains, ribbed, pebble or other matte finishes. We can apply Pressure Sensitive Adhesives, (PSA) solutions to SBR or PVC foam solutions. Whether it is high tack, high shear or a combination , our PSAs are effective . For more aggressive applications we offer a transfer PSA. 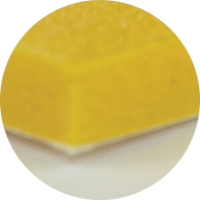 We offer twist resistant foam solutions to secure our form with another product. Our twist resistant foam solutions can also be used as an insulator within a window or door channel which is then fastened into a frame. Available in PVC solutions only.